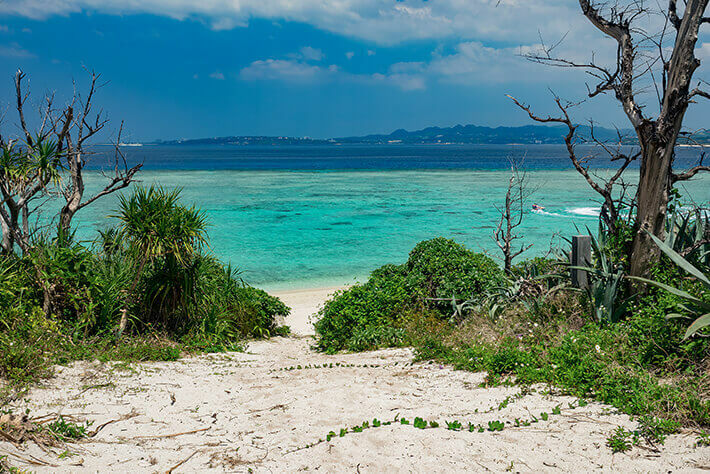 Minna Island, shaped like a croissant, appears as though it is floating offshore from the main island of Okinawa to the northwest. 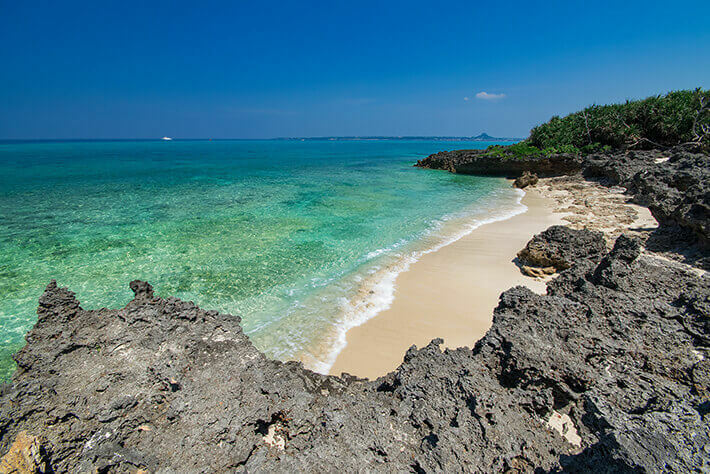 Minna Island can be reached by boat from the Unten Port in Motobu in approximately 15 minutes, and the stunning ocean surrounding the island will take your breath away. 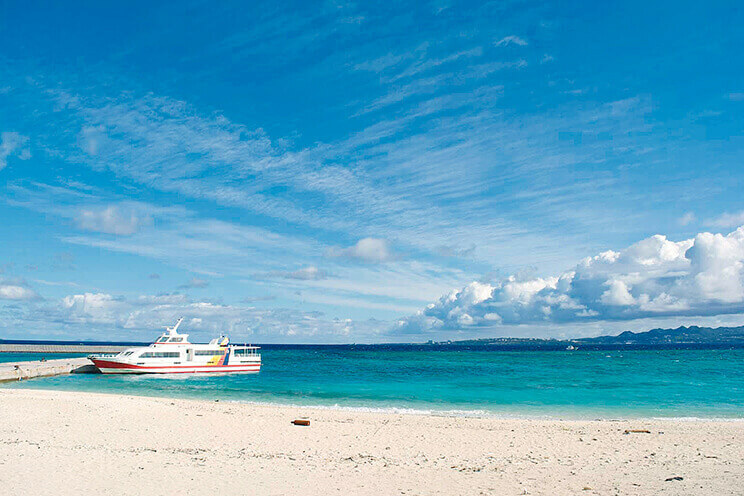 The stunning coral reef that that surrounds the island, as well as the dazzling whitewashed beach, leave visitors to the island in awe.Minna Island is a popular destination for enjoying premium marine leisure, including swimming, diving, snorkeling, and boat-related activities. 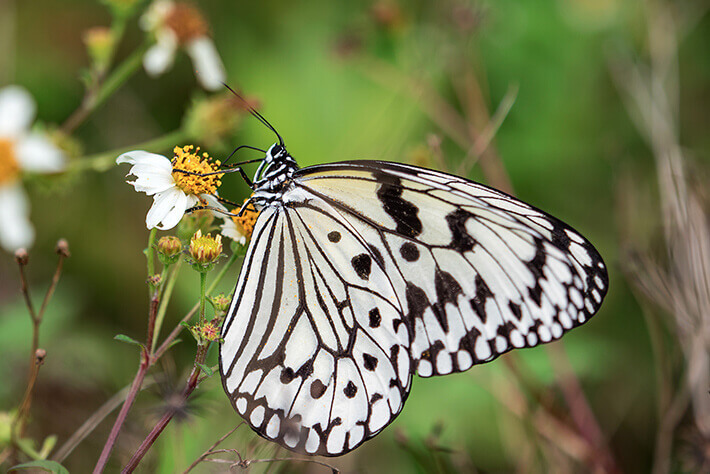 It is, in fact, a resort island that attracts more than 60,000 tourists every year. 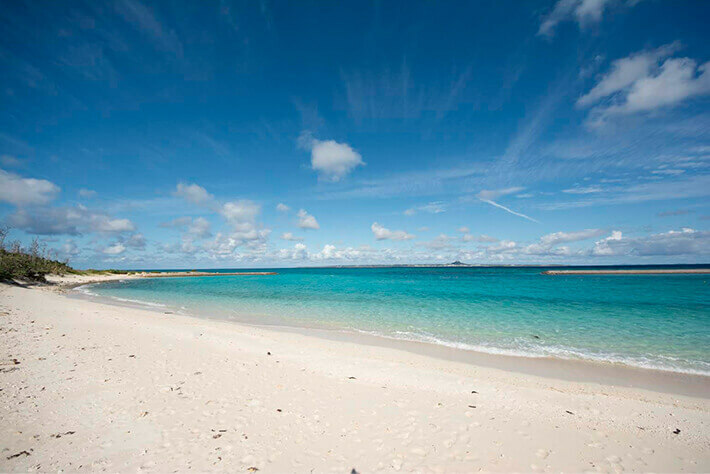 The first thing visitors to Minna Island take notice to is the shockingly high transparency of the seawater. The contrast between the dazzling white sand of the beaches and the transparent emerald green waters is so breathtaking that it captivates all who set foot on the island. The outstandingly transparent waters allow a clear view of the bottom of the sea from the surface, so there is no need to dive in to watch fish swimming below. Be sure to indulge in this natural aquarium with a floor of coral sand. 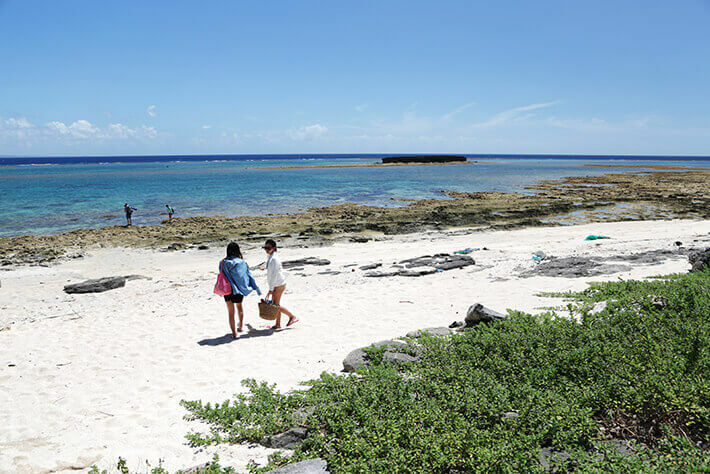 The sea surrounding Minna Island is where you will discover a picturesque sight of colorful coral painting the bright white canvas of coral sand extending into the water. When you look at Minna Island from above, you can see the countless clusters of coral in shallow waters off the shore protected by the coral reef formed over many years. 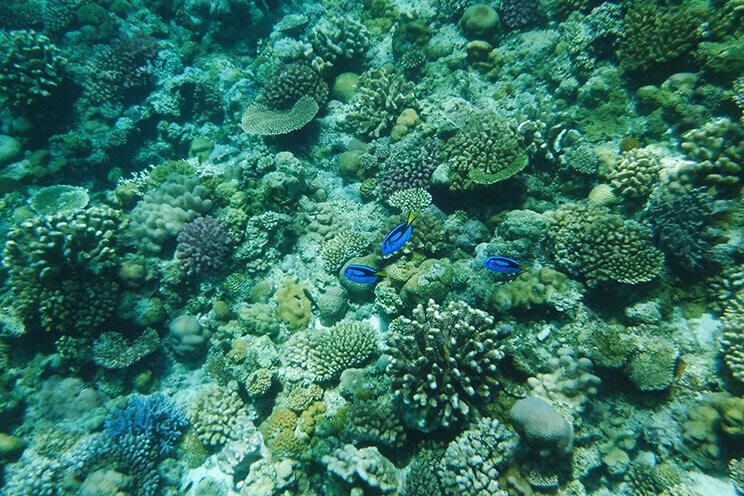 We encourage you to go diving and snorkelling to enjoy the beautiful sea of coral reef. While Minna Island is very small, you cannot underestimate its spectacular diving locations. A dynamic underwater world lies under the waters surrounding Minna Island, where you will find colonies of coral on a reef shaped like a whale, known as the “Kujira Iwa,” in addition to the magical “Giant Cable,” where you will uncover a massive cable woven with coral reef on the seabed of white sand.